MELKSHAM, UK, 08 May, 2018 – Cooper Tire Europe has been confirmed as presenting sponsor to the RX2 International Series, for the second year running. RX2’s 2018 calendar consists of seven rounds, the competitive category serving as a support class and the main feeder series to the FIA World Rallycross Championship at five European events, also travelling with World RX to Canada and South Africa. Sarah McRoberts, Marketing Communications Manager for Cooper Tire Europe, said, “As presenting sponsor to the RX2 International Series for a second consecutive year, the Cooper Tires brand continues to show its commitment to the World Rallycross Championship's feeder series, and its upcoming drivers. We are the sole tyre supplier to both categories, providing rallycross tyres which offer unrivalled levels of grip and traction on the challenging mix of tarmac and gravel surfaces. It's exciting for us to be contributing to all the thrilling RX2 on-track action this season." 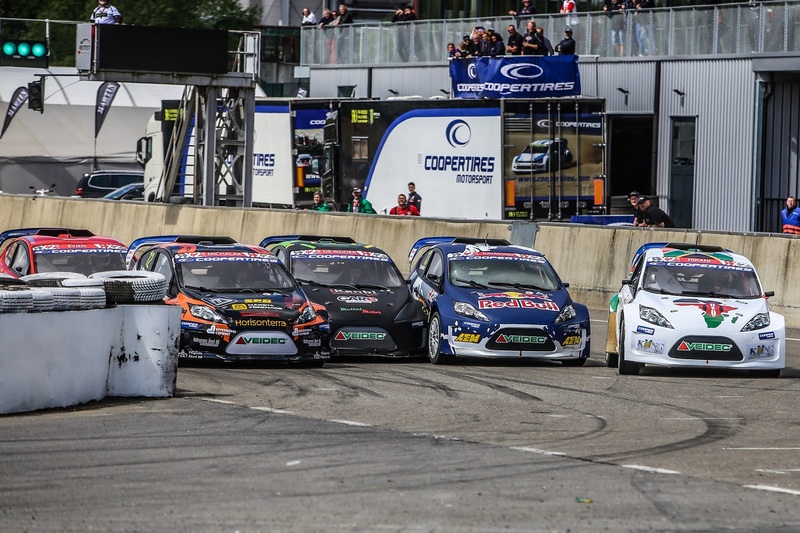 Belgium hosts the RX2 season opener, on 12-13 May, at Circuit Jules Tacheny. Among the full-time grid of 17 racers this year, behind the wheel of identical 310bhp four-wheel drive cars, will be former Olympian Albert Llovera. Llovera is entering his first entire rallycross season, by joining RX2 with PCR Sport. The Andorran made history in 1984 as the youngest ever athlete to compete in the Winter Olympics, at the age of just 17, but then a serious accident in the European Ski Cup a year later left him paralysed from the waist down. Llovera turned his attentions to motorsport using specially-adapted hand controls, and his second career has already included tackling the famously challenging Dakar Rally.